In a little over a week with 330 responses, the poll conducted on this website clearly shows the idea of wasting another $700,000 on someone to tell the public what city hall is up to is not a popular decision. This decision to actually add another $700,000 to an $844,000,000.00 financial plan which goes against the recommendations of city staff is unheard of in civic politics. Usually city council puts on a show of trying to hold the line on our taxes, but not in this case. Councillor Brennan led the charge bringing this matter before an FPCOW meeting which surprisingly had support of four other council members. 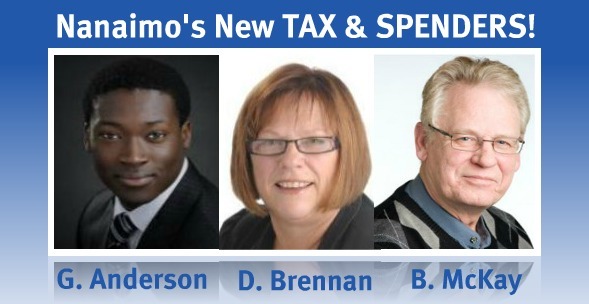 Joining her crusade to spend more of your tax dollars were newcomers Anderson and McKay. If this is a sign of the fiscal policy we can expect from this new city council, it could be a rocky three years until the next election. I can't remember one Councillor during the recent election promising to add another $700,000 to our taxes because they feel inadequate when it comes to telling us what they are doing. The only clear promise I remember Councillor Anderson making, was to lower the average age of city council, I guess in all fairness he never did promise not to increase taxes so at least he is consistent. Mayor Ruttan on the other hand is always holding out the promise that he will hold the line on taxes if we tell him "what we are willing to give up", in this case the overwhelming majority of the public will tell him and this city council that we are more than willing to give up the $700,000 for a spin doctor at city hall. This is a prime example of how elected officials will pretend to listen to the general public, but will smile and nod, and then do as they please anyway..... wonder why 73% can't be bothered with local politics anymore?